The instructions featured in this article explain how setup recording on a NUUO NVR Solo network video recorder using the Internet Explorer web browser interface. 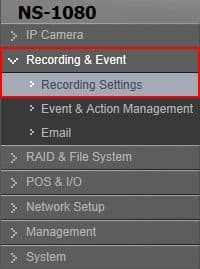 Users can setup the recording based on continuous recording, motion recording or schedule recording. When set to Continuous Recording, the NVR records around the clock. 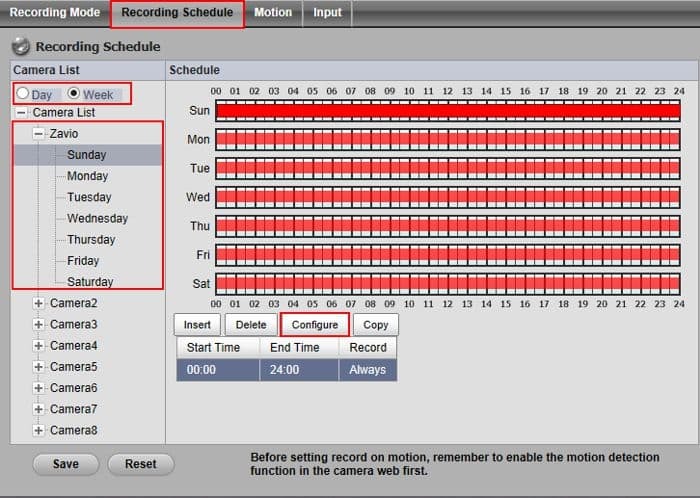 Motion Recording only records when motion is detected and it can be set to continuous or to a schedule. Schedule Recording allows the user to set the exact time span in which the unit will record. The examples in this article were done using an NS-1080 NUUO Solo Network Video Recorder. Please follow the instructions below to setup recording on your NUUO NVR Solo using the Internet Explorer web browser interface. First login to your NUUO NVR Solo through a Internet Explorer web browser and then proceed below. 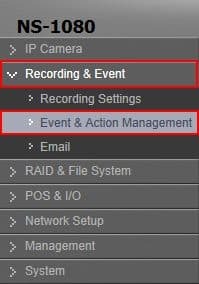 Now in the Event & Action Management tab, locate the Camera List. 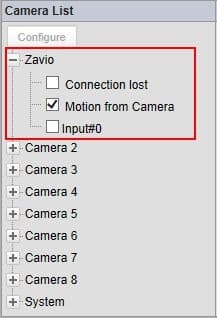 Under the Camera List, click and enable Motion from Camera on each camera that you wish. (Shown Below) Please Note: Motion will also have to be enable in the cameras web interface. Now follow either the Continuous or Schedule Recording instructions below to complete the setup. Repeat the steps above for as many cameras as you need. Click the Save button under Recording Schedule once you have configured all of your cameras.